This topic contains 6 replies, has 3 voices, and was last updated by Bree 4 months, 3 weeks ago. Hi guys, loving the look of the Openlab theme. I could use some advice/help on a thing. What I want to do is put an additional menu area in the sidebar on the Course Group pages. (See attached pic). The trick is I would like to keep this alteration in a child theme which normally can be done with a simple register_nav_menu function/add_action in functions.php and a call to wp_nav_menu() in the template.. The difficulty is that the sidebar is built in the sidebar-funcs.php file which is not a template file and not overrideable by a similar file in the child theme. Do you guys know of another way I can slip a menu area into the Course Group pages without cutting into main theme files? Thanks for the feedback! I can’t answer your question myself, but I’ll check in with the rest of the team and find an answer for you. In the medium term, we should do the necessary work to move the openlab_bp_sidebar() logic into template parts. 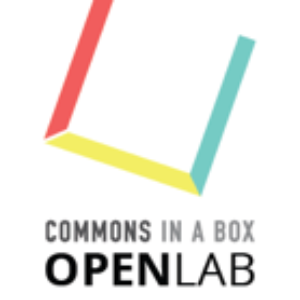 I’ve opened https://github.com/cuny-academic-commons/commons-in-a-box/issues/157 to track this. Thanks Boone, that is quite helpful. I’ll either go that route or maybe we’ll just live with a theme hack for now. One of the things I love about CBox environments is the groups, very first thing I do is pop open a private admin group for internal documentation, hacks, to-do lists and so forth. We are in the process of putting an environment together for a small online program using CBox Openlab. There are a couple of other things I’ve noticed as I’ve been working some are more ‘feature-requesty’, but there is an error or two I’m getting. Would you rather this stuff come through the forms or github issues? If the latter, which repo. (I noticed your two links above were on the CBox repo rather than the theme repo. Thanks a lot for the effort you guys put in on CBox and huge thanks for sharing it. If you don’t mind, could you describe the errors first here, just to make sure they’re not something I could help with before raising them as tickets? Thanks Bree, I’ll do that. I have a couple of things I’ll break out into separate threads. Makes a better history. Thanks so much, Troy! I’ll look through these and get back to you about next steps.